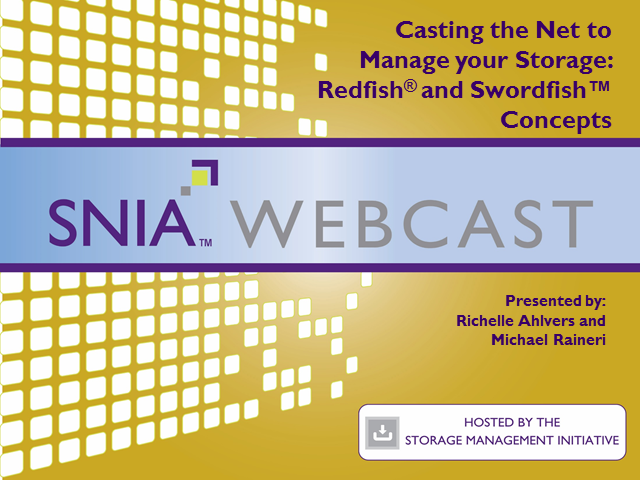 The SNIA’s Scalable Storage Management Technical Work Group (SSM TWG) has created and published an open industry standard specification for storage management that defines a customer centric interface for the purpose of managing storage and related data services. This specification builds on the DMTF’s Redfish specification using RESTful methods and JSON formatting. This presentation provides an overview of basic Swordfish and Redfish concepts and shows how Swordfish extends Redfish. Examples showing how clients can traverse the models, highlighting how the two standards integrate seamlessly together, are given.